A few years ago I was not a big fan of wine. However, after visiting vineyards in the US, Spain, and South Africa I have started to appreciate wine. This photo was taken in Dundee, Oregon. Not only was the wine fantastic, but the views were breathtaking. This entry was posted in Travel Photos and tagged Dundee, Entertainment, Life, Lifestyle, Nature, Oregon, Photography, Photos, South Africa, Spain, Travel, Travel Blog, Travel Journal, Travel Photo, Travel Photos, Vineyards, Wine, Wine Tasting. Bookmark the permalink. Great shot of the vineyard! I am a big fan of wine and I enjoy visiting different vineyards where we go. The wine tasting is the best part! My sister lives in one of the wine regions in Germany. The views are absolutely breathtaking. That would be awesome to live there! I wish I could say I was not a fan of wine but I LOVE wine!!!! I have to have a glass or two every night. I never liked it until I lived in France in my early twenties. But since then, I’ve been hooked and especially love wine from New Zealand, Argentina, Chile and South Africa. Beautiful picture! I don’t know why but it wasn’t until a few years ago when I started enjoying a glass of wine. Now I love to have one at night and relax. Don’t know if I’ve tried any New Zealand ones. I’ll look for some. I’d love to go visit such a place… tranquil and calm… just perfect. It was a wonderful place to see. I’m so glad someone told us about it! Lovely photo, TBM. I am slightly distracted by the bar at the bottom. Have you tried cropping/ straightening? 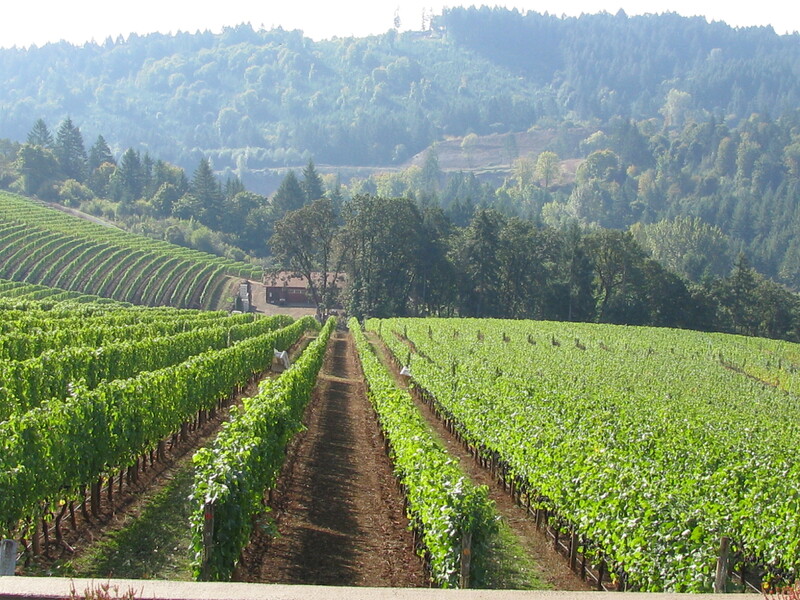 My family and I visited Napa Valley, still not a wine convert, but I loved the view. I haven’t been to Napa but I would love to go. I live and work at a winery/vineyard! Really! That’s awesome…do you get to bring your work home with you? I wanted to fall into this beautiful picture and find the wine tasting tour! Thanks for such a kind compliment. Oh lovely! We went on a really good tour in Provence! I would love to try one there!